I am in the market for a new guitar. I have decided on two but cant choose between the two (Buying both is not an option). I am looking at either an Fender American Telecaster or a Fender Japanese Mustang(kurt cobain edition). I have played the telecaster and loved it. I have played a mustang (not the KC edition) and also loved it. Both are excellet guitars. Here is the thing though, the Kurt Cobain Mustang which is a little different cannot be found in any stores and would have to be ordered online. Buying something I have never played before is tough. I currently play an Fender American Stratocaster. You play a Strat now, why not get the KC edition, read up on reviews of it, you should be able to view clips of how it sounds and buy from a reputable dealer. You may have to eat shipping costs if you want to return it but it will also be a good conversation piece. Just a thought - buying out of store, the guitar should be set up at least to manufacturer's, if not your specs, included in purchase price. Ordering online, it may have been set up when it left for shipping, but odds are it will need tweaking when you get it if it goes through some temp extremes during shipping. Personally, I'd get the Tele in a heartbeat. But then again, I'm a Tele guy. What kind of music are you looking at play? 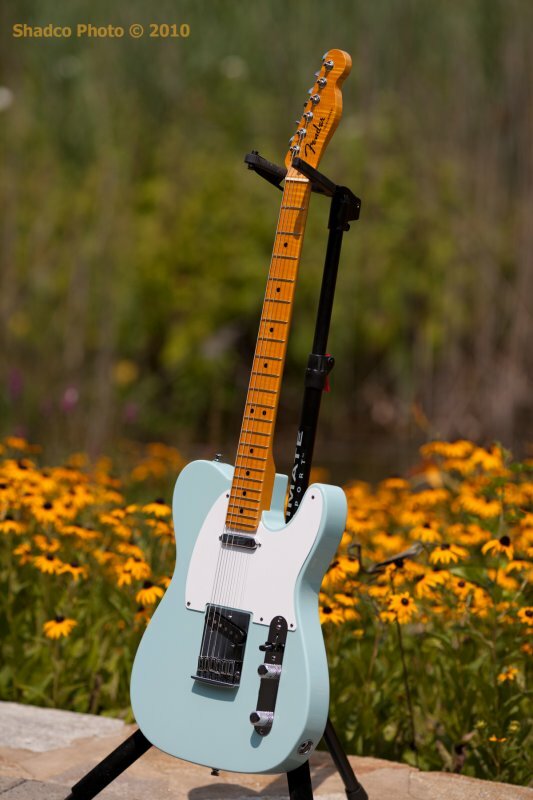 If you are into modern country music, I would go with the Tele. I play the Fender Tele myself. Just curious, what does one go for these days. Telecaster through a tube amp.... what could sound sweeter. Probably the most versatile guitar ever made. Can go clean and get very dirty. The first two Led Zeppelin albums were recorded with Page's dragon Telecaster. I love mine! Or an SG if you want a similar sound/action and a lighter guitar. Tele is too twangy for me- I prefer the tone of a Les Paul or a PRS..
You can make them sound anyway you want them to sound with a mixer and if you play enough , you'll have one. They open up a whole different world of options. There are a couple of threads on here about THT guitarists, and some members have some damn nice twigs. I had a Tele, and I still have an '89 Strat Plus Deluxe. I love it because it's so versatile. I liked the twang of the Tele, but I have a Ric 360 as well, so that covers the twang/surf/60s jangle. My vote would be for the Cobain, if for nothing else, for the "collectibility" factor. There are rumors (started by me!) on Twitter about a Ritzy Bryan Signature Strat... I'd like to see that someday. If you buy a fender american standard series, allow some extra $ for fret work. I bought two new american standard strats over the past 4 yrs and both of them needed a fret level, crown and polish right out of the box. Fortunately, there's a guy in the area that does top notch fret work. I liked the guitars after that. 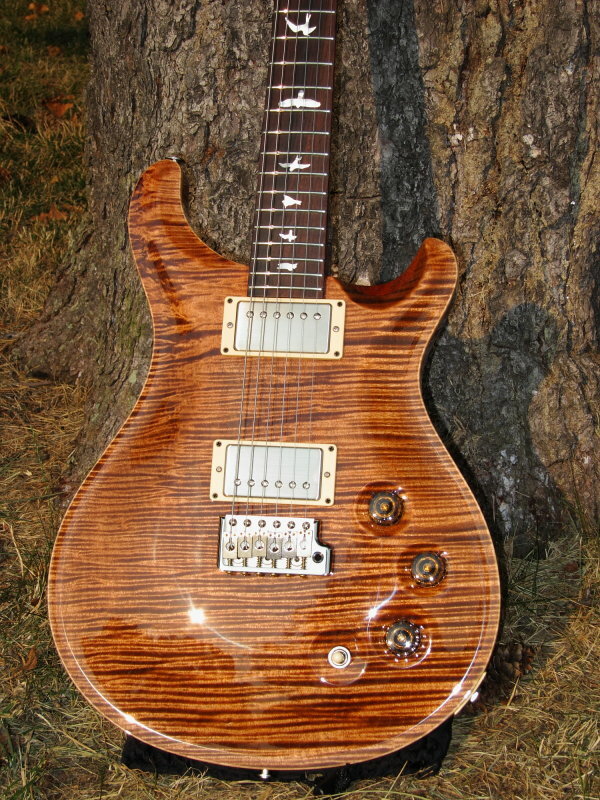 And a pick up change of course, but the new one come with the custom shop pick ups which seem decent. I'm hooked on Fralin's blues deluxe pickups myself. If I were to pick between the two guitars your considering, I would probably go with the tele. That mustang looks too complicated for me. Lol. Plus, I'd rather have single coils. That mustang is a lefty btw.